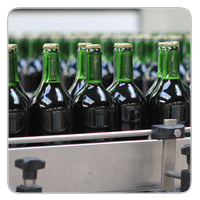 Temperature Control is Essential for Quality Consistency. 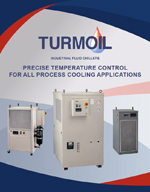 Turmoil chillers provide energy efficient precise temperature controlled solutions for various food processing applications. We offer many options such as custom software based glycol evaporator selection using specific application requirements, air and water cooled condenser models, stainless steel components, pumps and or cabinets, various pump and tank packages, two loop process chillers (Our “PT” line), digital scroll compressor technology, fluid coolers and secondary heat exchangers along with many more; which are custom selected to handle just about any of your specific needs.